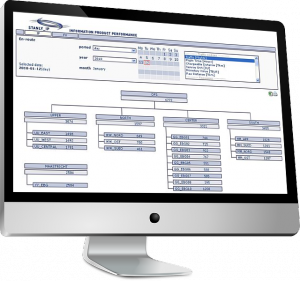 STANLY_IP – the webbased management information system for calculating and presenting the DFS Key performance indicators (KPI). It features powerful GIS functionality to perform advanced flight-track and airspace related calculations. The calculation results are stored in a data warehouse and can be retrieved, displayed and exported using a standard webbrowser.